Three German teams will try to defend honour of DKB Bundesliga at Men’s EHF Cup Final4 in Magdeburg on May 19/20. 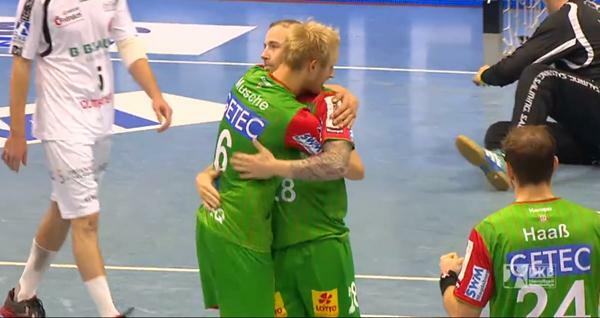 Fuchse Berlin, SC Magdeburg as host team and Frisch Auf Goppingen will try to stop French handball revolution on home soil as stronger teams lost their quarter-finals matches at VELUX EHF Champions League for the second year in a row. Frisch Auf Goppingen beat Chambery Savoie 31:27 for the second time after 30:27 away victory seven days ago. The fourth participants coming from France – Saint Raphael. BM Granollers did a good job in revenge 40:30, but it wasn’t enough to turnover -14 from the first match in France – 23:37. Draw will be held on May 2 at 11.00 hrs. ← Previous Story POLL: Qui? Who? Koj?